LaLone Answers the Phone, Even When the Other Guys Don't! Mike Lalone Well Service specializes in directional boring, water systems, new construction installations, damaged or buried wells, and safe drinking water treatments. We have been a family-owned and operated small business in Michigan since 1898, with decades of skill and dedication passed down through the generations. 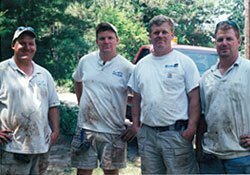 Our technicians are prompt, service-minded, and attentive to our customers because we have a long-standing reputation in the community to uphold. 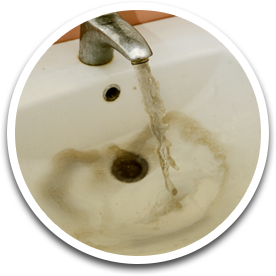 At Mike Lalone Well Service, we work with residential, commercial, and municipal clients all year to keep your water systems running, minimizing downtime. We use lightweight, state-of-the-art equipment to provide the highest level of service possible to all of our customers. Our motto is to answer every call, no matter what time, because we care about our clients. Our mission statement is to offer our customers the highest quality services at fair and competitive prices. The name LaLone has been synonymous with water wells in Genesee, Oakland, and Livingston Counties for over 100 years, and we stand behind that name.